ECSEM Silicone Flexible Smart Watch Protective Case for Apple Watch Series 3, 2, 1 38mm Smartwatch. 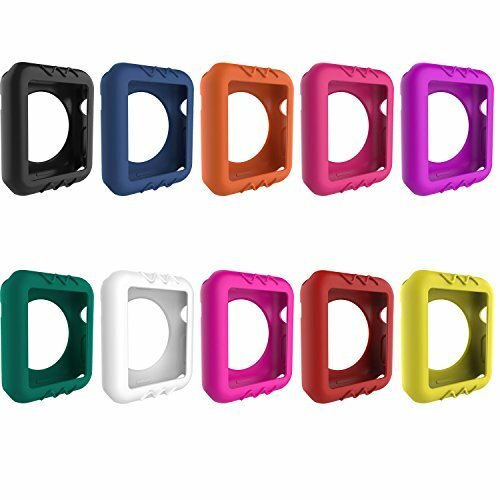 ECSEM Case Soft Silicone Sleeve Protector Band Cover Accessories for Apple Watch Series 3, 2, 1 38mm Smartwatch. High quality silicone band case cover for Apple Watch Series 3, 2, 1 38mm Smartwatch. Make your Apple Watch Series 3, 2, 1 38mm Smartwatch band more personalized and add more fashionable elements. Charge designer sleeve protector brings trendy design to your Apple Watch Series 3, 2, 1 38mm Smartwatch. Slides easily into place. Turns your Apple Watch Series 3, 2, 1 38mm Smartwatch band into a fashion statement. Package: 10x Case Cover. Item made by ECSEM, not by Apple. (Apple Watch is NOT included.) Lifetime Warranty: Unconditionally refund or resend with any quality problems, life-time friendly customer service.